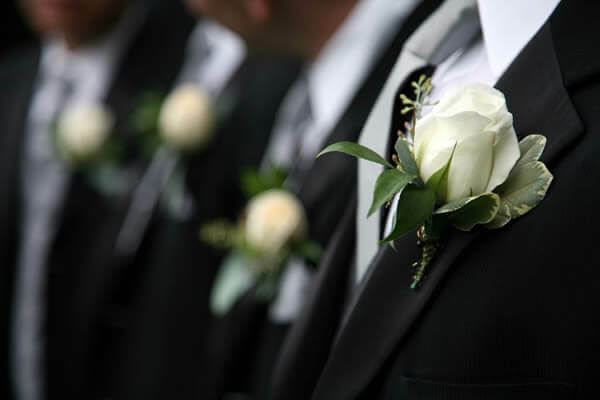 Excluding the Groom, the real main man of any wedding day will be the Best Man (no pressure). You’ve arranged the mother of all stags, written a monumental speech about the groom and organised your suit and top hat… now all that’s left is to prepare is yourself. A slick, clean appearance will leave you feeling confident and ready to deliver your duties. Being in the spotlight all day will put a magnifying glass against every inch of you – and that means bushy eyebrows are out, dirty nails are a no-go and any signs of flaky skin on your suit will be met with horror. 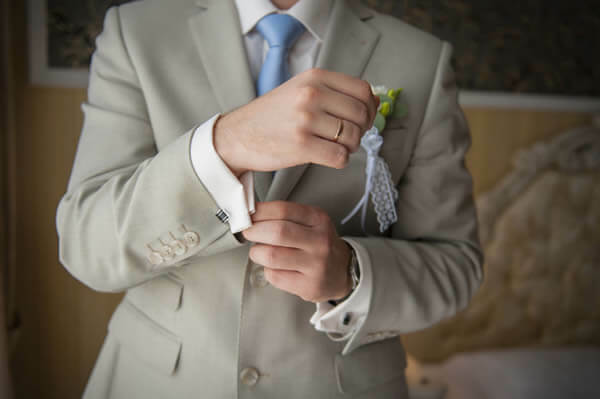 So how do you make sure you look the best you ever can as best man? Well it all starts with glowing teeth, healthy skin and manicured hair acting as your best accessories. A respectable hair do is a must. The constant flashes of mobile phones and cameras all day will be capturing every strand of your hair. A visit to a reputable hairstylist (no nipping to a cheap barber for a £5 here) a few days before the big day will have your locks looking great, with that window of a few days giving you a chance to style it how you like when you get home. And make sure to invest in a good quality hair wax or styling powder to keep stray hairs at bay. I’d recommend not getting any gel as it can react badly to heat, especially when you’re a few drinks deep on the dance floor and working a sweat, and also can result in every photo of you looking like you have the shiniest head of hair anyone has ever seen. A dazzling smile is a must for any Best Man. For the best outcome, this is a two-step process. First, visit your dental hygienist to clean and freshen up your gnashers. Next, try laser teeth whitening – it an easy way to whiten and glisten teeth painlessly in under one hour, rather than brushing like hell with a dear toothpaste at home for a week and hoping they get magically white. A laser beam will wipe out stains and lighten your teeth as much as 5 shades. It’s quite cheap too when you find a deal online and is definitely a worthwhile investment as it will last for months after the wedding, along with giving you perfect material for your profile pic. Do you want guests to be talking about your unkempt stubble or outrageous sideburns? Combat all facial hair with a traditional hot towel shave, beard and eyebrow trim and nostril wax (they aren’t as sore as you think). Carefully research local grooming salons and book for the day before or morning of the wedding to ensure a clean and sharp finish. If you’re no clue where to go, ask your barber as they’ll possibly do it (beard trimming is quite trendy now) and they might even squeeze you in for an early appointment on the big day if you ask nicely. The weather can wreak havoc on your skin – not ideal for your big day. Be prepared with our in-depth skin care guide to keep your outer layers moisturised and glowing. Flaky skin and cracked lips are easy to take care of and avoid. Always have a balm handy, keep a tissue in your inside pocket (making sure to offer it to your groom if you see sweat form on his brow) and keep a travel sized moisturiser with you. You’ll be shaking a lot of hands and the last thing you want is something feeling a big dry hand when they greet you. When was the last time you bought a really good pair of socks? I’m not talking a multipack on the high street, but an actual pair that are too posh even for your Nan to get you at Christmas. You will be on your feet all day long in fancy shoes, so having a good pair on (and a spare pair for the evening to help freshen up a bit) will do you justice. Now don’t put off by beauty treatments or going to a salon – these treatments I’ve talked about are all available for the modern man and are not uncommon, but if you are worried about the added expense of your own personal grooming on top of all the other purchases that go with being a Best Man, you might want to read our guide to increasing your best man budget.